An automatic soaker hose irrigation system with timer is also included with the Backyard Botanical Complete Gardening System. All you have to do is hook it up, set the timer, and forget about it!! Perfect for when you go on vacation or if you just don't have the time to water it yourself every day. But if you would prefer to water it manually, there is a coil garden hose with sprayer conveniently installed. Great for washing dirt off your hands or rinsing fruit and veggies off when harvesting them. 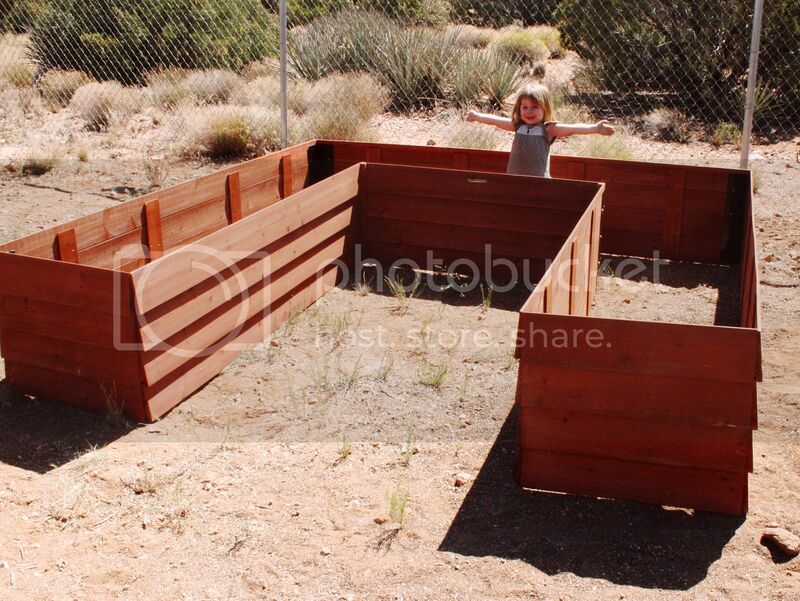 In previous posts you may have heard me talking about our raised beds that we built a few months ago. Well, we are having a major issue with our them. Our issue is not so much with the garden itself but with our idiot dog who keeps destroying the garden. We spend a lot of time outside and the dog seems to have absolutely no interest in the garden yet, on two separate occasions, (once about 1 week after planting and again about 2 weeks ago) we woke up to find the fence bent up and our garden completely destroyed. Both times we also found tuffs of rabbit hair near the gardens so we have come to the conclusion that the dog is only jumping the fence and destroying the garden to get the rabbits. (Guess that's what we get for getting a hound dog) We have since then built up the fence a little and although I don't think the dog will be able to jump it, only time will tell. We have also placed a row of large rocks around the edge of the fence that we are hoping will keep the rabbits from climbing under the fence. 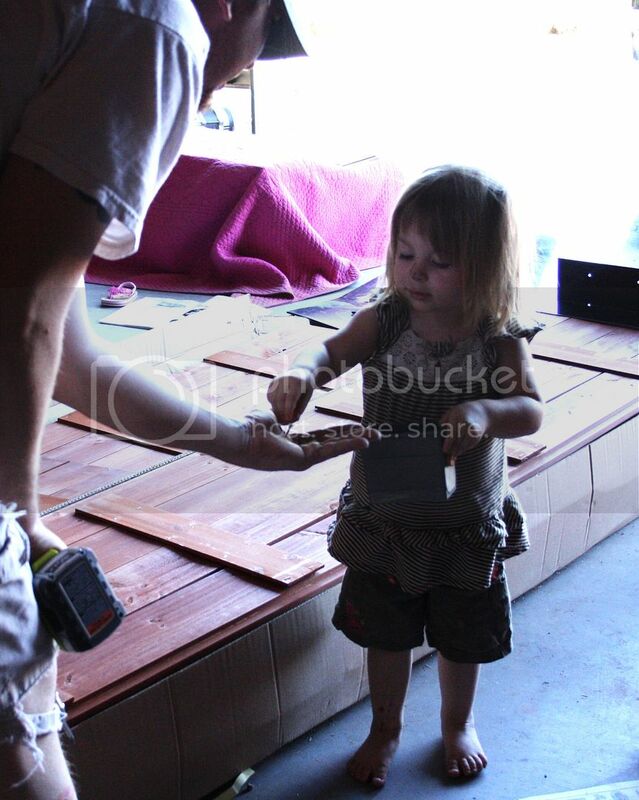 First thing we did was to recruit this adorable girl to help hold the screws and hand them to daddy as he needed them. We started out by attaching all of the sides (outside and inside). Then putting together and installing the bed supports (this took the longest). And then adding the inserts for the bed and the trim on top. After that we added the mesh fencing sides, trellis and doors which seemed to be the easiest a quickest part. The timer was attached to the outside, coil hose and sprayer on the inside, and soaker hose in the beds. The smell!! Yes, call me silly but our garage smelled like cedar for a few days after opening the boxes. I loved it! Although the boxes that this product came in was super heavy, the individual pieces were fairly light. I'm not a very strong person yet I could easily pick up one of the side pieces (the largest piece) by myself. The look of it. You can tell that a lot of work went into designing this to give it a nice finished look. The directions were super easy to follow!! Have you ever read completely through a set of directions and still had no clue what you were doing? This is not like that. The directions are very descriptive and include lots of photos. Although our dog (the same idiot that destroyed the other garden beds) though it would be a good idea to steal the directions and run into a bush (twice). Grrr. She is lucky I love her or else we would be making a trip to the pound. Although there wasn't anything that I didn't like about this product, there are a few things I would like to point out. The first thing I would like to point out is that the Backyard Botanical Complete Gardening System is delivered in two LARGE, HEAVY boxes. Although a fairly strong man may be able to move them by himself with a truck dolly, the guy that delivered ours was a fairly elderly, small man. He was glad that my husband was there to help him as I'm sure he would not have been able to move the boxes on his own and I'm pretty short and weak myself so I would not have been much help. Some of the boards were warped. Although,once they were in place a screwed down, you could not tell at all. However, tying to hold the boards in place while my husband screwed them down was somewhat difficult. Using a set of clamps helped out greatly. If you don't have clamps it I would suggest buying some or at least getting an extra set of hand to help you out. All in all it is a great product and I think it is definitely worth the money. We still have to add a few more bags of dirt and then decide what we want to plant. We are for sure getting some strawberries and a few pepper plants. We already have lots of tomatoes (the one thing the dog did not destroy in our other garden), a few beans, and two pea plants so I'm not sure what I want to plant in front of the trellis. Any suggestions?? I will definitely be posting some followup photos once we get everything planted. 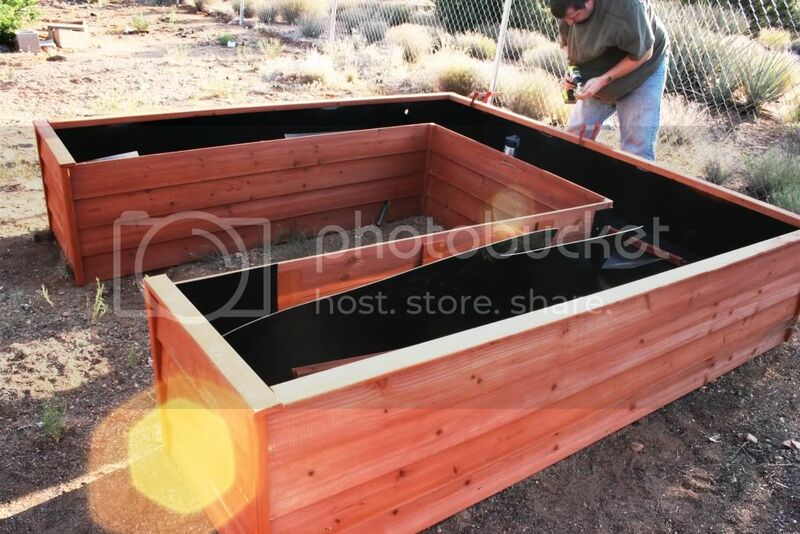 Head on over to Samsclub.com to purchase your Backyard Botanical Complete Gardening System. Be sure to check out Sam’s Club for more amazing outdoor living products to transform any backyard garden or patio? Cucumbers are a must in our garden! Just watch your strawberries, they will spread! Mmmm! I didn't even think of cucumbers. I was a little worried about the strawberries but since I'm out there everyday I think I may be able to control them. And if not then I do love strawberries and really wouldn't mind having the entire thing full of them. 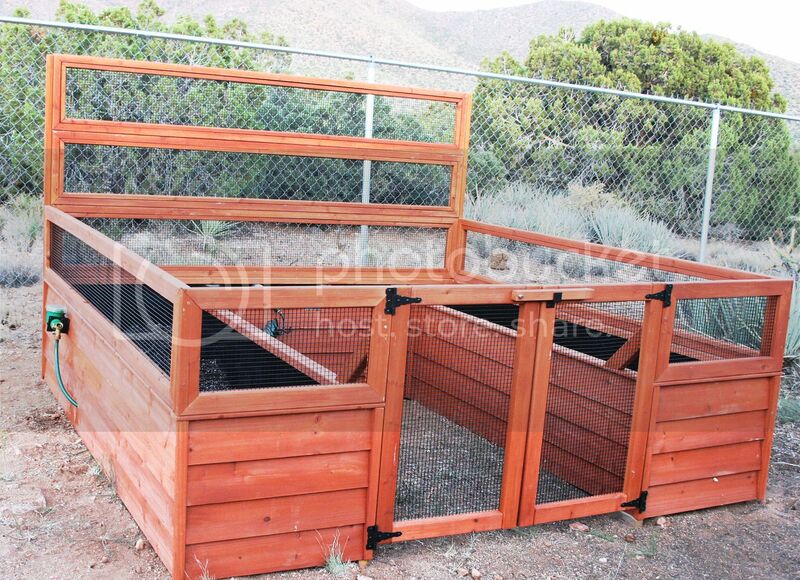 Thinking about getting one but slow to the draw because I have a small space and it's all cemented, so I would be putting it on a cemented patio and was wondering about drainage? Not clear if the black tubs that fit into the frame lock together and have drainage holes? If so, the excess water will stain the cement. Any suggestions? Maybe the drainage holes in the black tubs can be routed with tubing? Yes, there are several holes in the bottom of the plastic inserts. I would think you could lay some plastic over your cement before placing the garden on top.